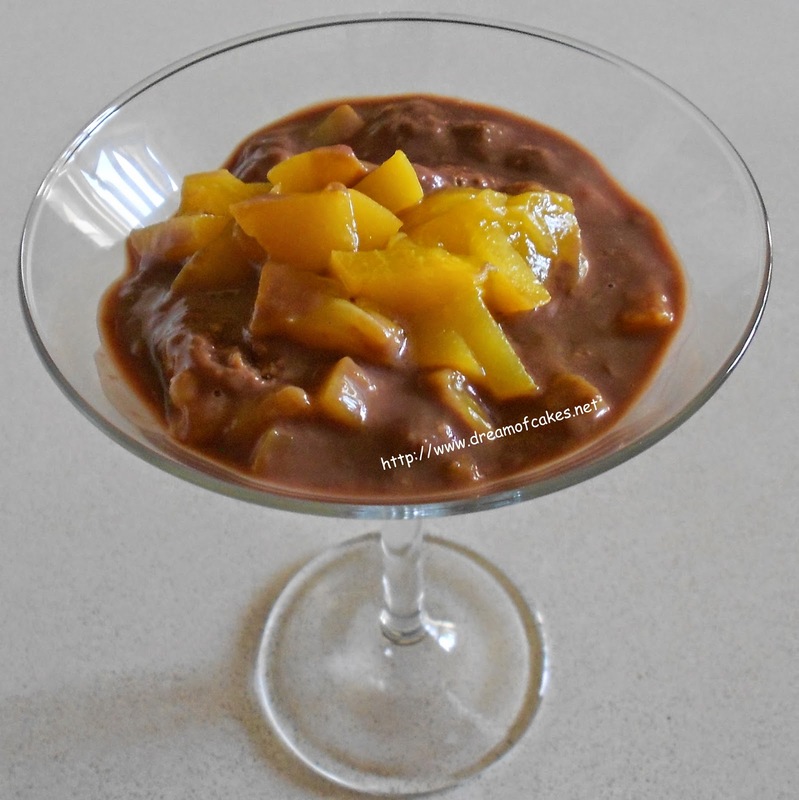 No Sugar added, Double Chocolate Pudding with Peach Compote. Perfect for summer! 1) In a small saucepan put the milk, cocoa powder and corn flour. 2) Bring to a boil, stirring constantly, until the mixture thickens. 3) Remove from heat. Mix in chocolate, vanilla essence and Stevia sugar. 4) Poor mixture in a bowl. Refrigerate over night. 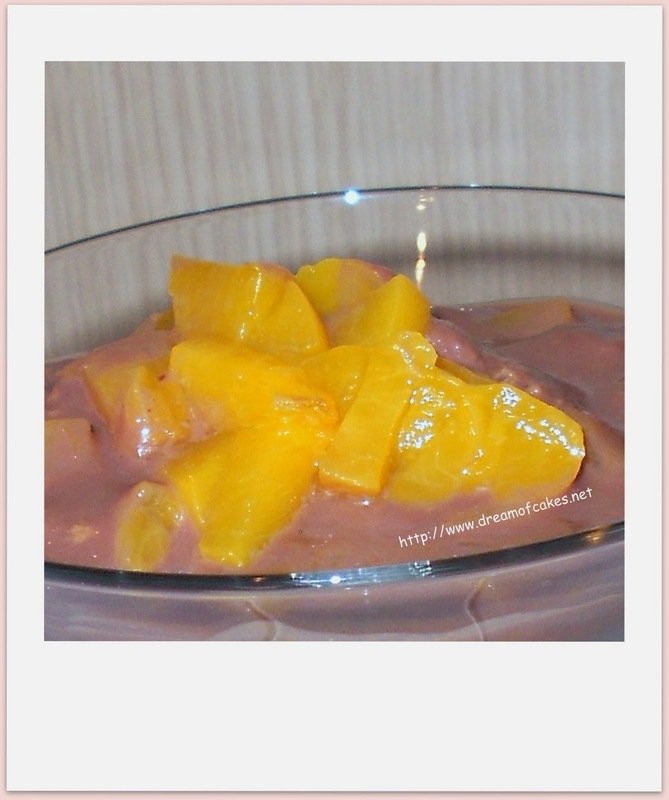 5) Serve chocolate pudding with peach compote.